This article was originally posted on Making Christchurch, a group blog set up by Barnaby Bennett in the wake of the 2011 Canterbury Earthquake, at the invitation of Transportblog commenter Brendon Harre. Why do cities grow and change? And how can cities harness those dynamics? Last month, I took a look at agglomeration economies, which describe the productivity and innovation gains arising from urban scale and density. The advantages that cities offer for production have underpinned urban success throughout history. Economic productivity is important. To paraphrase Paul Krugman, in the long run, productivity growth underpins our ability to consume more of everything from electronics to healthcare, and to have more of the non-economic things that make life enjoyable. All else being equal, people tend to move towards more productive places in search of higher living standards. But economic productivity isn’t the only thing that matters for wellbeing — or for growth and change in cities. For a long time, people assumed that cities offer advantages for production but disadvantages for consumption. This assumption, which shaped a lot of economic analysis and policymaking, was understandable. After all, modern cities first arose as manufacturing centres at a time when manufacturing was a dirty business. People could get jobs in the city’s “dark Satanic Mills”, but they had to suffer bad air, choleric water, and high crime rates to do so. But things appear to have changed over the last half century, at least in developed countries. The bad aspects of cities, such as crime and pollution, have improved, and the good parts have also gotten better. Cities have become attractive for consumers as well as producers. The quality and speed of transport systems — cities that make more destinations accessible are more likely to be attractive to residents. In their view, the rise of the “consumer city” opens up other pathways for urban growth. If cities want to attract new residents and businesses, they don’t have to focus only on providing “producer amenities” like convention centres. Supplying great “consumer amenities” can also foster ongoing vibrancy and growth. homogenous, conformist, masculist, egalitarian and monocultural, subject to heavy formal and informal regulation. There were no licensed restaurants, little weekend shopping, one supermarket (opened in Auckland in 1958) and a very limited range of goods and foods to buy in the shops and unlicensed restaurants that did exist… School milk was free, but you had to drink it. A lot has changed since then, economically and demographically. While the wholesale deregulation of the 1980s was not an unmixed blessing, it certainly expanded the consumption choices available to New Zealanders. A more liberal migration policy brought new migrants with, thank goodness, new cuisines. And since the advent of mass-market international air travel, Kiwis returning from OEs have come back with new ideas for things to do in cities — from rock bands to restaurants to cycle lanes. The result is a favourable climate for the adoption, invention, and proliferation of a variety of goods and services in cities — especially when it comes to bars, restaurants, and entertainment. Christchurch has been instrumental in shaping a key part of the hospitality market: beer. When I started to be able to afford to drink nice beer in bars, the best thing on tap was often from craft breweries in Christchurch like Harrington’s and Three Boys. Their success has fostered competition: craft brewing has since taken off in Wellington and, more recently, Auckland. In short, New Zealand cities have potential, but they may have to do a few things differently in order to fully realise it. The first is simple: get some of the barriers out of the way. For example, minimum parking requirements can be a major impediment to opening new restaurants and bars, or converting old warehouse space to retail. They often require restaurants to devote more space to parking than to dining areas, which can be the kiss of death for hole-in-the-wall eateries. The second is to understand — and take advantage of — positive feedback loops between population density and consumer amenities. Neighbourhoods with more people support a greater variety of consumption choices. While density isn’t for everyone, cities need some medium-to-high density, mixed use neighbourhoods to supply a rich variety of urban goods and services. In medium-sized cities, city centres have traditionally filled that role. As the following population density maps (darker blue = higher density) show, that’s an area where Christchurch lagged behind Auckland and Wellington even before the earthquakes. The destruction caused by the 2011 Canterbury Earthquakes has created an opportunity for revitalisation on different lines — but government bungles seem to have delayed the process. It’s important that it get back on track. I grew up on the South Island of New Zealand, in a city chosen and beloved by my parents for its proximity to the mountains — Christchurch is two hours distant from the worn saddle of Arthur’s Pass, the mountain village that was and is my father’s spiritual touchstone, his chapel and cathedral in the wild. For many years while I was growing up my parents did not own a car. We rode around town on two tandem bicycles and one single (a source of considerable embarrassment to me at the time) and at weekends we would occasionally rent a car in order to drive into the alps, and go hiking. However, urban aesthetics also matter — even if you go tramping on the weekend, you still spend your weekdays in the city. This is an area where Christchurch has some strengths and some challenges. From the start, Christchurch had a reputation as a “garden city” as a result of its large public parks and street trees. Although the idea of parks as a city’s “lungs” is less salient today than in Industrial Revolution cities, parks and street trees are still public amenities. They make people better off simply by existing in the vicinity. The earthquakes seem to have opened up some opportunities to enhance the garden city — particularly along the Avon River, where many houses have been red-zoned. In addition to the central government-promoted Avon River Precinct, some community groups are calling for a forest park out to New Brighton. Others have simply gotten on with creating something new. The built environment, however, is more problematic. Central government oversaw the demolition of over 1200 buildings in the city centre in the years following the earthquakes, including many of the city’s historic buildings. This has been controversial and at times acrimonious. As I am neither an architect nor a Cantabrian, I’m not in a good position to weigh in on the debate. But as an economist from Auckland I’d observe that heritage buildings have a definite public value — not one that trumps all other costs, but one that should be accounted for in decision-making. At the very least, it would be smart to replace any demolished buildings with more attractive and usable ones. Thus far, I’ve considered — in a thematic way — some of Christchurch’s challenges and opportunities as a “consumer city”. But what would success look like? Let’s take a look at a few data points. First, here’s a chart showing Statistics NZ’s latest (2015) regional population projections. The Canterbury region, which includes Christchurch and its satellite towns, is projected to grow faster than all regions other than Auckland over the next three decades. In other words, Stats NZ expects Christchurch to be relatively successful at attracting and retaining people. But look at the range on their estimates: the city could grow faster than Auckland, or it could hardly grow at all. Without digging into Stats NZ’s forecasting methodology, it’s difficult to say why they’ve picked such a wide range. But perhaps it reflects uncertainty about the future attractiveness of Christchurch as a consumer city. Wages in Christchurch tend to be lower than in Auckland and Wellington, meaning that urban amenities potentially have a stronger role to play in fostering urban growth. Net migration to Canterbury has followed a very similar trend as net migration to Auckland — the peaks and the troughs coincide remarkably well. However, the troughs are just a little bit deeper in Christchurch, as substantial numbers flow out of the region in a bad year. In Auckland, by contrast, net migration seldom turns negative. Net migration will always be a bit of a rollercoaster in New Zealand — it’s followed a boom-and-bust cycle for a very long time. But it’s possible — with the right combination of a resilient economy and good consumer amenities — to reduce the depths of the troughs and raise the height of the peaks. It might not be an inspiring mission statement for a city, but perhaps it’s the right one for Christchurch. Excellent post Peter, having just spent some time in CHCH I can report that at last the Centre City rebuild is gaining real momentum, and a particular character. And I’m warming to the 5-storey glass and steel city that going up [lots of expressed, and massive, structure]. There’s lot that looks promising and some that doesn’t; I like the way the centre of gravity is shifting from that dreary square with the toy trams and twee church to the river around the Bridge of Remembrance. That’s where the new buildings and the people are now. And frankly while obviously a disaster at least the quakes did get rid of some of the worst examples of provincial modernism in the country along with so many of the city’s grand old gems. The 30kph zone is great, but the one-way system is still terrible, complete with motorway scaled signs. The Bus exchange is also great, but building a massive carparking building between it and the city is extremely daft, not least for the competing demands these two structures will make on the surrounding streets. Thanks Peter and Patrick. I agree with Patrick that the vibe in the CBD and the city in general is changing. There is enough happening to be a little optimistic. I would like to challenge Patrick on his description of our Cathedral as a twee church -Patrick should remember the city’s name is Christ Church -so it is not surprising churches are important -it is part of our identity. The Cathedral is on the same Boulevard and of the same style as the Museum and Arts Centre (former University buildings). In my mind there is a massive incongruity between the fast progressing and sensitive rebuild/earthquake strengthening of the Arts Centre versus the lack of progress of the Cathedral. For anyone who wants to read about how real trams became toy trams in Christchurch here is some good links. Brendon, personal taste; I have never been keen on much of CHCH’s Gothic Revival architecture in general and Mountford’s in particular. Or rather I especially didn’t enjoy the joyless and frankly delusional anglo self-congratulation it seemed to me to freight; the ‘one-foot-still-on the boat from England’ mentality. Many exceptions to that of course and the Arts Centre always seemed to me to be one of them for some reason; a sufficiently anarchic pile of buildings. The Cathedral [I know it’s not Mountford], however, no, it always seemed a too tidy and faux place to this visitor [and enthusiastic student of built place] and the whole Square with it. Now i know it is loved as a symbol of the city by locals and of course it’s theirs to decide what to do with; I hope something new and authentic will rise soon from that disaster…. and it’s great to see a new beginning rising elsewhere in the centre. Watching with keen interest. All cities are specific but all face variations of the same forces; always fascinating to me. You might be amused to hear that I once made the mistake of expressing this view to the late Peter Bevan [over a meal in Arts Centre as it happens]; that didn’t go down well as you can imagine! Patrick I was tending towards a new cathedral for a while but having seen the successful rebuild of the Arts Centre I think it demonstrates restoration is a good option. Also the large buildings have been removed on Worcester Blvd and whatever replaces them are going to be considerably shorter so there is a visual link from Museum/Arts Centre to the Cathedral. I haven’t liked any of the contemporary designs. But as you say Patrick preference comes into play. I think NZ’s wooden churches with their warmth and craftsmanship have real appeal. Mountford, of course, proposed a wooden Cathedral, after all his very first building, a stone church in Lyttelton, fell over in an earthquake! Timber feels more authentic, more ‘here’. Perhaps ironically, for that most Christchurch of colonial architects, Mountford’s grandest and perhaps best building is the timber St Marys ….. in Parnell, Auckland [now grimly overshadowed by a dreary pile of bricks]. Maybe our woodworking rebuild leader could finally do some good. Gerry could donate his labour to building Christchurch a new church based on Mountford’s designs. He will soon have lots of time with the handover of CERA etc to local boards. It might be good for his soul and certainly his health -he could do with losing a few pounds (not that I should judge, being larger than I should be…). Christchurch has two particular weakness -tourism and foreign student numbers have not recovered to pre-earthquake levels -while in the rest of the country they have boomed. Given the collapse in dairy this means construction is currently the only sector underpinning growth in Canterbury. I don’t think Christchurch’s consumer agglomeration problem is insurmountable. Christchurch is in effect the capital of the South Island of NZ -which is a hugely attractive place. If Christchurch received pro-rata public transport spending that Auckland and Wellington have received (commuter rail) then this would encourage the density which can give vibrancy. Bike lanes are an obvious investment Christchurch should be making. More clarity about the CBD anchor projects. Look at some ideas on how to make intensification easier. Then NZ could have another internationally successful city. Interesting. But maybe you overstate consumption advantages of cities. Most things that cities have that are not available to people outside the city are things you might travel for. Live music is something most people would make a trip to see as they require it rather than something people require continuously. The main reason most of us live in a city is still the money we can earn. The dark satanic mills are not quite so dark now but we are still wage slaves in cubicles. If you could live in Raglan and Whangamata and earn an Auckland income then I think most people would. You would just have to travel to Auckland once in a while for the things you cant get online or in those towns. Schools are probably the one exception. If you have enough money you can send your kid to a reasonably good school either by paying fees or buying in a zone. As usual you take your own preference and presume it applies to everyone. Some people would choose this but plenty of people already have this option with online jobs but choose to live in Auckland for the access to consumption outlined in Peter’s article. Edward Glaeser looked at this in The Triumph of the City and found a large number of people living in NYC but commuting to jobs elsewhere. The only reason to do this would be for the consumer amenity that the big city offers. Funny, last week my company did a presentation to prospective grads saying that they have to pay 5-10k bonus to get people to *leave* Auckland, Wellington or Christchurch. And that’s on top of the 5k-10k effective pay rise you get from moving to a place with cheaper housing. If someone were to bribe my family to leave Auckland, I would have to balance cheaper lifestyle + bribe against no public transport and a suspicious, minority-unfriendly small-town culture. You couldn’t walk everywhere in Paihia: you couldn’t walk to a hospital, nor a high school, a theater, a bougiose craft brewery, etc. No circus either, but at least there is a bakery to sell bread to the masses. I accept your criticsm Frank. There probably are people who love to stand in the rain and watch full buses go past so they can sit in a cubicle all day to try and save enough to buy a house, all so they can have the joy of…. umm… hang on there must be something you can only get in Auckland….I would miss live theatre but I could drive up for that. No it’s the money- if you want to understand Auckland it is all about the cash! If everyone who desired Raglan were able to live there wouldn’t it suffer from the same problems of high prices and congestion that Auckland currently has? But to a lesser extent as there could be lots of Raglans ie Kawhia, Whitianga, Whakatane, Russell, Hokianga etc. They would all be bigger and there might even be some new ones built. The problem with Auckland is that the way big cities work is we can all make more money here so we all turn up and stay. Having more of us means even more will show up and stay. In the past cities in the developed world grew due to industrialisation as a draw and rural land reform as a push. (In almost all cases the land reform usually precedes industrialisation). The newer theory is that cities are cool places to be and you can buy better things. That might explain churn where younger people arrive and older people leave. But my view is income is more of a driver than spending. So you’re just going to ignore the evidence that high skilled workers choose Auckland inspite of the living costs being higher and the income lower? There’s nothing stopping these places from expanding, if they genuinely offered higher consumer amenities to offset their disadvantages for production. (Or if ICTs were mitigating their productive disadvantages.) It doesn’t really seem to be happening. Lastly, for all that you disparage economics as the “dismal science”, your own views are far more misanthropic than mine: “I have to be paid to be around other people.” Yikes. Mfwic, I think you are right in that income is a bigger driver than spending, but I think the social pull of cities is probably as important. I’d probably go to Central Otago if all my friends moved there as well, but in reality in your model they would all disperse to a different desirable place. As much as I love the place, as someone who grew up in Te Anau, I would take the social opportunities that Auckland gives over small town NZ any day, even if it does involve waiting in the rain for a train (it rains a bit in Fiordland as well just quietly!). I also think we would end up with agglomeration around the most desirable of the desirable places anyway, such as Whitianga over Hokianga for example. I havent read the Dutch book but I see problems in divining the cause of land rents. I would have thought there is a strong link between income levels and consumption amenities which might make figuring out the effect of each on land rents difficult. Multicollinearlity to you. Finally I make my income by being around other people. But like lots of other people I get my joy from being outside of Auckland. Why do you think that most people who can afford to own a bach? Hear hear! We live in Auckland because to earn more than a crust of bread we need to. If we could earn the same money elsewhere, we’d all be in Whangamata, Paihia, Kerikeri, or even good old Napier. Speak for yourself. Different people do different things for different reasons. The countryside is lovely to visit but I couldn’t live there, and as for small towns: the horror! Nothing would ever get me to one. Auckland is lovely to visit but I couldn’t live there. Actually scratch that. Auckland’s not even that good to visit. …exactly; each to their own. But Patrick I could just see you building a hot rod and cruising Morrinsville on a Friday night! What do Paihia, Whangamata and Kerikeri have that Auckland doesn’t? If your answer is their small size then that doesn’t really apply if everyone who wanted to were to move there. And tens of billions of dollars of stormwater, wastewater roading electricity, communications to link them all. Who gets to go to the most desirable ones like Whitianga, Paihia, Raglan and who has to go to the less desirable ones like Dargaville, Port Waikato and Coromandel Town? Sounds like a recipe for a giant trail of expensive urban sprawl up the East Coast of the Coromandel and Northland to me. Has anyone noticed how our current government is using two different and opposing arguments for how to support our cities – Auckland versus Christchurch? Christchurch gets praised for its supply response which have stabilized house prices -but the government avoids discussing anything about Christchurch attractiveness -which would benefit the whole of NZ -the country cannot afford the gateway to the South Island to fail -so issues like the non-progressing Anchor projects -there has been no announcements about the Convention Centre for a year -the non-recovery of tourism/foreign student numbers are nationally important issues. Whereas in Auckland it is all praise for how attractive Auckland is and complete avoidance for discussing what has gone wrong with the supply and demand factors in Auckland’s housing market. The lack of affordable housing in Auckland is causing social, economic and political problems which impacts on the whole country. Paul Henry also used the housing unaffordability stats as a sign of how successful NZ argument. When a recent report showed NZ was the 2nd worst in the OECD. Although at least he had the decency to say it with a bit of sarcasm. Those projections for BOP look too low. Tauranga is steaming ahead and I suspect is going to keep gaining Auckland refugees…. Matt go to this website and move the bar to 2002 to get a full picture of building consents -the website has regional breakdowns. You will see that Canterbury has consistently built more houses than the Bay of Plenty. The Bay rarely builds more than 200 houses in a month whereas in Canterbury it is rare for less than 200 houses are built. Pre-GFC Canterbury was consistently building about 400 houses a month -a level I think we will return to. Post earthquakes we have built 500, 600 700 a month. Matt P, I suspect the difference is Tauranga is under half the population of the Bay of Plenty, whereas Christchurch is around 3/4s of the total population of Canterbury. You would likely be right if it was a straight out comparison between Tauranga and Christchurch. Cities need to appeal to our nobility, not to fashion. Parks, boulevards, sculptures, elegant and beautiful buildings; these are the sinews of the city. I think too often our planners – and our councillors – want a “fashionable” city. Libraries are de-booked (that’s an EC-coined verb), streets are funked up, but taking a few steps back would always reval that fashions pass. We need to build for eternity (well, the heat death of the universe at least). When the Romans built their beautiful edifices, it was done for reasons of legacy. Same with the Taj Mahal; same with the great castles of Europe (the temporary wooden ones having long since rotted away). I don’t want a consumer city. I want a city that is an engine of New Zealand. London’s financial district built an empire. The factories of Sverlovsk defied Hitler. The university of Paris fuelled a movement or six. Give Peter a break -he has written other articles about production agglomeration, housing, transport….. consumption agglomeration is just one consideration. In other words, you’d rather have a city built to appeal to aristocratic or bureaucratic tastes (palaces, statues of Great Men, etc) rather than to mass-market consumer tastes. That’s not a very appealing vision in a democratic age. In addition, I’d observe that cities provide a _variety_ of goods and services to meet a wide range of tastes. In downtown Auckland, I now have a choice of craft beer bars selling $12 pints. But there are also places where I can find Speights or Lion Red for $5. So rather than decrying the existence of choices that don’t appeal to you, why not celebrate variety? Not quite… but I take your point. We need to design our cities so they ennoble the common man. Not by cheapening him with panem et circenses, but neither by giving him faux-bourgeois affectations. Any city that prides itself on its “cafe culture” is a city slowly circling the drain. Many people say Paris is the queen of cities, but its inhabitants loved it so much that in 1940 they abandoned it without a fight. All those espressos and discussions on the banks of the Seine meant nothing; the city was a facade, a Potemkin. Whereas Berlin – ugly, unloved Berlin – meant so much to its people that in 1945 they fought to the last pile of brick and masonry. We need an Auckland that isn’t simply a springboard to greater things overseas, nor a giant drain for alcoholic vomit, but a symbol of New Zealand and a magnet for all right-minded New Zealanders. I’d also add the presence of $12 craft beers in a city where children go hungry is barbaric. France’s surrender had very little to do with the qualities of Paris and a lot to do with the fact that the French military had been outflanked and encircled. Likewise, Germany’s bitter resistance had very little to do with Berlin’s aesthetics and a lot to do with the fact that they were very worried that the Allies would do to them what they had been doing to the rest of Europe for six years. Anyway, in the previous war, 4-5% of France’s population died to prevent the Germans from reaching Paris. Not sure why you don’t think that’s a relevant data point. Furthermore, if you think that society has an income distribution problem, then the appropriate solution is to be found in the tax and social welfare systems, *not* in what types of businesses we allow to operate in the city, or the types of housing we allow people to live in. This is a rather basic point that seems to elude a lot of people. The French made a deliberate decision *not* to fight on despite the fact they could have – Winston was rather scathing on it – and there was a definite possibility that they could have defended Paris (they would have lost, yes, but that’s not what war is about). The fact is the French didn’t care about Paris (the Americans cared more about Bastogne than the French cared about their own capital – isn’t that astonishing). 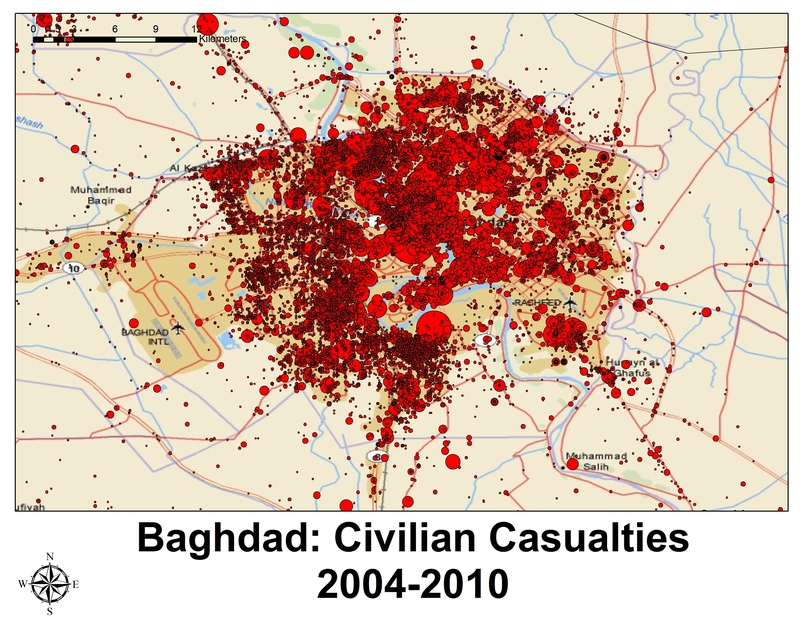 By your metric, Baghdad is the greatest city of the modern world. 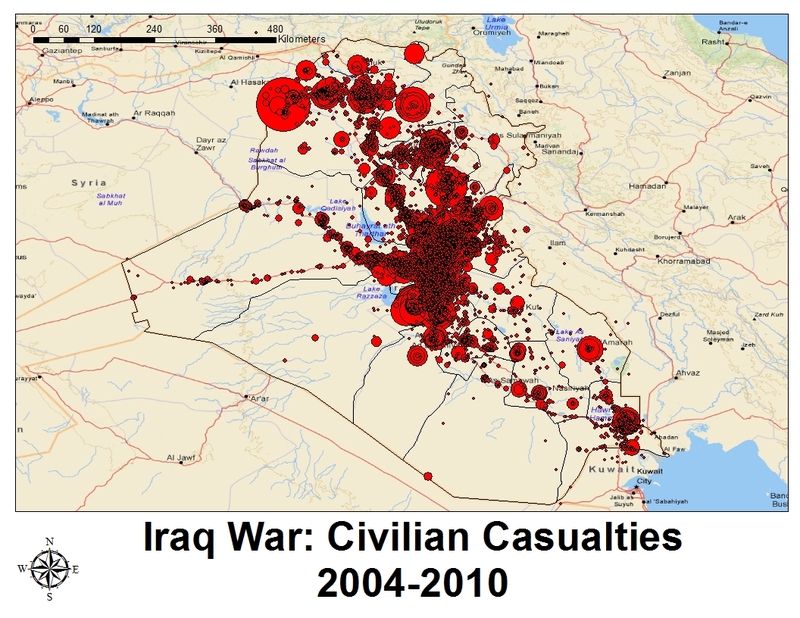 Look at how many people have died there since the US invasion! Must be a nice place. Although Aleppo is making a strong run for “world’s greatest city”. Unfortunately, the battles have destroyed its UNESCO-listed historic district, but hey, you have to break a few eggs to make an urban omelette. The French chose not to defend Paris precisely because they valued it so much and didn’t want to see it destroyed, as it would almost inevitably would have been at the hands of the superior German forces. And it worked – Paris was barely affected by war damage, while Berlin was razed to the ground (though, as has been pointed out, the situations of Paris in 1940 and Berlin in 1945 were so different at to make comparisons nonsensensical). Also, if $12 craft beers are barbaric, building “parks, boulevards, sculptures, elegant and beautiful buildings” with public money is far more barbaric – after all, that money could be spent on feeding starving children! Only having Lion Red available, that would be barbaric! Really, a symbol of public glory a substitute for bread!? Unless the monument is edible of course. I propose a 200ft tall statue of a kiwi bird made of kiwifruits. Any city in which child go hungry is barbaric regardless of whether the middle class also thrives. The two are also largely unrelated, the greed of a few, not the craft beer of the middle class causes children to go hungry. Many of the people on this site who are middle class? Myself for example. Many people now prefer one craft beer over 3 lion reds. I think the defence of Paris versus Berlin was an example of opportunity cost. The French had somewhere else to go in 1940. The Germans in 1945 didnt. Of course, a fact that the promoters of Houston style development [or other cities on flat plains] always ignore. Not the whole story of course, but an important component. I’d go further to say that not only does ‘a city’s physical geography seems to have a large effect on density’, but it also has a large effect on quality and urban beauty. It’s the hemmed in cities that seem to be strikingly beautiful. Where there are constraints on land, and insurmountable boundaries, then generally the land at the edge is worth more than the land unencumbered by restraints, and architects and developers spend more time, effort, and money as a result. Take Manhattan, please, vs Houston. Or, for that matter, Paris and the Isle de la Cite, vs Lyon. Or closer to home – take Napier, vs Hastings. Even, dare I say, Wellington vs Christchurch. In each case, the less constrained city simply continues to grow, blandly, out at the edges, and the architecture at the edges is mainly dross. Hence the growth and popularity of big-box retail and deadly dull malls in places like Houston, Hastings, Christchurch etc. But at the most constrained edge of constrained cities, such as the waterfront or Central Park in Manhattan, or down by the Seine in Paris, or on the tiny wedge of land between Scinde Island and the inland sea in Napier (pre EQ), there is no room for blandness, but there is only verve and excitement in architecture. Guy. Christchurch has geographic constraints -Sea to the East, Port Hills to the south, Waimak river to the north, Airport noise control no build zone to the west. I think you are confusing geographic constraints -which do not provide benefits with geographic amenities -such as views, access to water bodies, nature walks, scenic parks…. which do. Desirable amenities are more valuable and property owners will pay a premium for both the land and what they build on it. Paris and London are both probably less geographically constrained than Christchurch. There major geographic feature -the Thames and the Seine rivers were major transport arteries in the past and more recently have been bridged easily (unlike the Waimakariri river which only has 7 road lanes on 3 road bridges + 1 rail bridge from mountain to sea). Brendon, no, Christchurch doesn’t really have constraints, at least not in the way I mean. The constraints need to be immediate to the city – not to the outer edge of the suburbs. The sea is a few miles away from Christchurch proper, as are the port hills and the river etc. The interesting parts of London and Paris are the edges hemmed in by the rivers, not the outer edges. The most boring parts of London, Paris, Christchurch etc – all in the outskirts. It is the constraints which force the architects and developers of the land to be more creative with the land. Wellington city = exciting (vs Wainuiomata = dull). Auckland’s Queen St = exciting due to the hemming in of the adjoining ridges, vs Albany which is dull as ditchwater and spreads out. But Christchurch? Never really constrained, never really that interesting. Sorry. I agree that geographic constraints are a blessing as well as a barrier to growth. Here’s something I’ve previously written on the issue. In Auckland, it certainly seems to to be the case that our geographic constraints create valued amenities. Views of water – mainly of the Hauraki Gulf – strongly raise house prices, while views of land don’t, on average. (Although there is certainly unobserved variation in the value of land views.) Those water views wouldn’t exist without the geographic constraints. 1. There are thousands of kilometres of beautiful coastline in NZ, most of which don’t have cities on them. So factors other than natural amenity must play a role in city development. For example, man-made amenities such as great architecture or productive advantages. 2. Geographically constrained cities will tend to have more expensive housing, which is a disincentive to growth. Consequently, it’s likely that the geographically constrained cities that *have* actually grown must have unusually attractive natural amenities, man-made amenities, or productive advantages to offset that disincentive.